Located in Derbyshire, Chesterfield is a beautiful town with a rich history and notable citizens such as Sir Robert Robinson and Sir John Hurt. 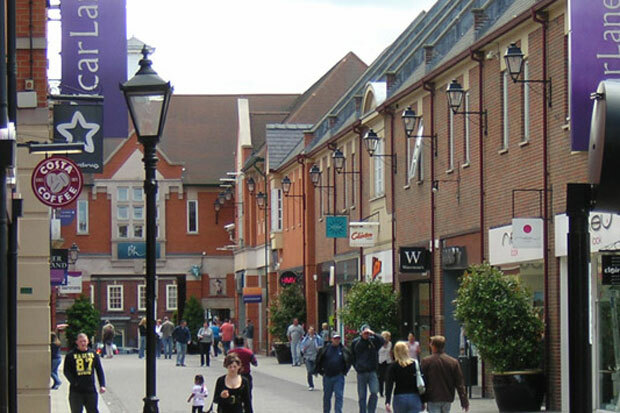 The origins of Chesterfield can be traced as far back as the 1st century; in medieval times the town was officially termed ‘market town’– meaning it had legal rights to host markets. 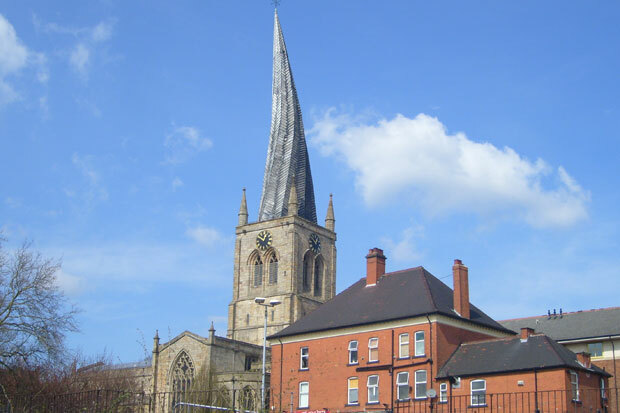 There is plenty to do and see in Chesterfield, so let’s get started! The ‘Crooked Spire’ is the town’s best known attraction and it was built in the 14th century. The name originates from the church’s twisted spire, which is considered almost an architectural ‘miracle’. Experts now believe that this is caused by lead tiles hat covers the spire – when the sun shines on the south side of the towers; the lead heats up and expands. The locals, of course, have less practical explanations for this including the devil’s potential interference and a mischievous blacksmith. Whatever the truth, this church is very beautiful and a landmark building in Chesterfield. 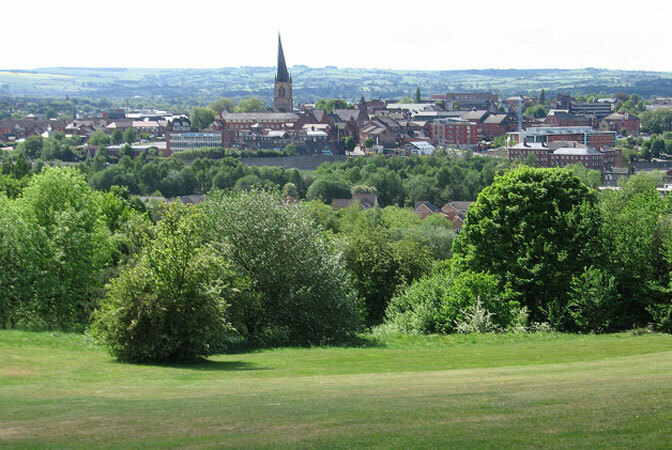 If you are lucky and manage to visit Chesterfield on a sunny day, make sure you pay this beautiful park a visit. There are many playgrounds and even a mini railway, so if you have brought kids with you there is no better place to keep them entertained. 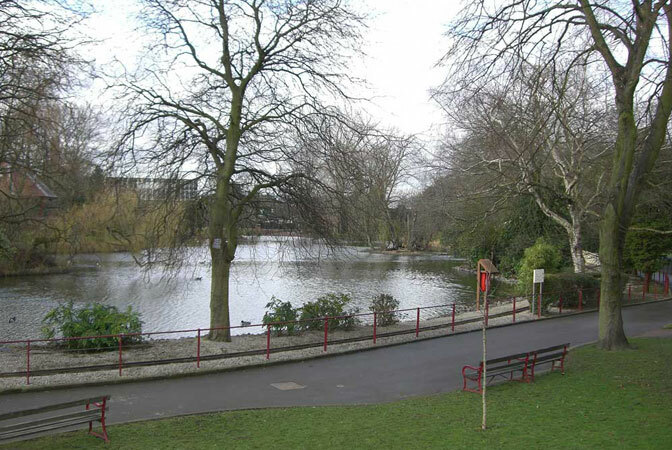 In Queen’s park you will also find the famous and scenic cricket ground. If you enjoy a quiet walk, this is your best bet. 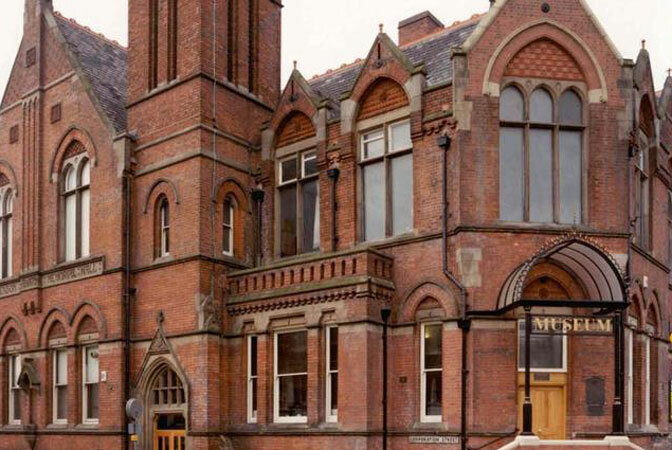 If your luck failed you and it’s rainy and miserable outside, simply pop in the Chesterfield Museum and art gallery. It’s not the biggest one, but it showcases Chesterfield’s rich history – for free. Some of the artefacts on display include a few centuries-old treadwheel crane, items from the railway and coal mining history of the town and memorabilia from the horse races. After all this walking around, you will naturally need some fuel – and Calabria is a great place to recharge. Loved by the local people, this restaurant is famous for its Funghi Risotto and wide variety of non-alcoholic drinks (they have alcohol too if you’re not driving). Rumour has it that Calabria is almost constantly booked, so make sure you give them a call to check availability. Many visitors swear by this restaurant, calling its food ‘pure perfection’. 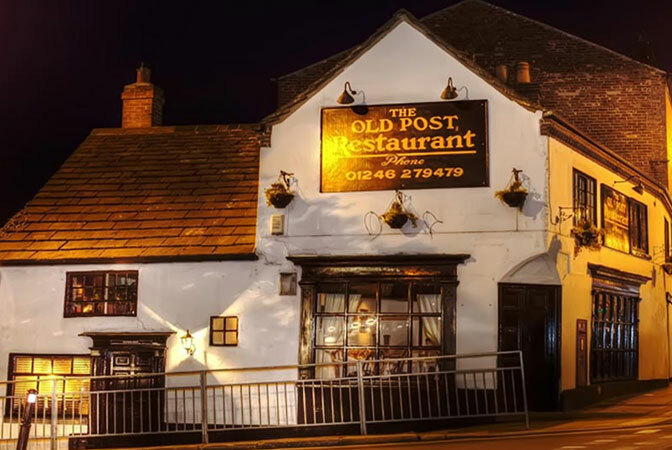 The cosy atmosphere is also mentioned when it comes to the Old Post, alongside the ever-present politeness of staff. What more could you ask for? We just had to include a vegetarian option in our list as more and more tourists are looking out for healthier food options. 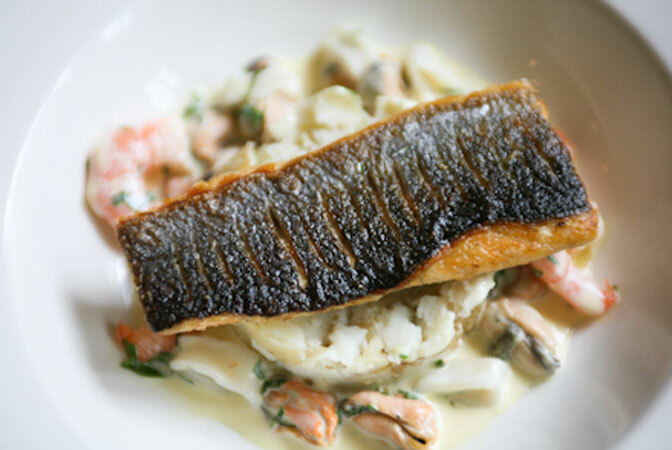 This restaurant is praised for its responsibly sourced products and organic meals. The highlight of the menu is, without doubt, the homemade chips – so make sure to order a portion if you are around. 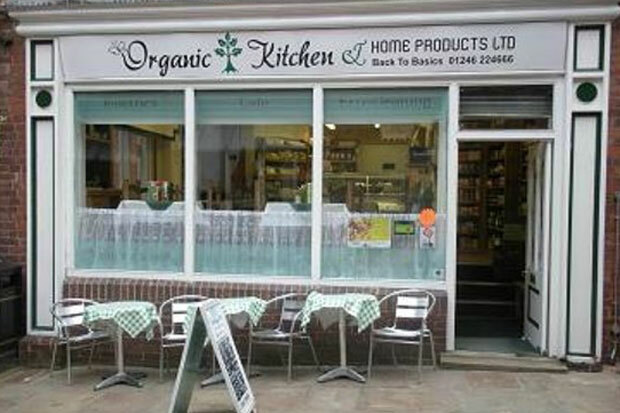 Combined with affordable prices, the Organic Kitchen is the place to be, vegetarian or not. 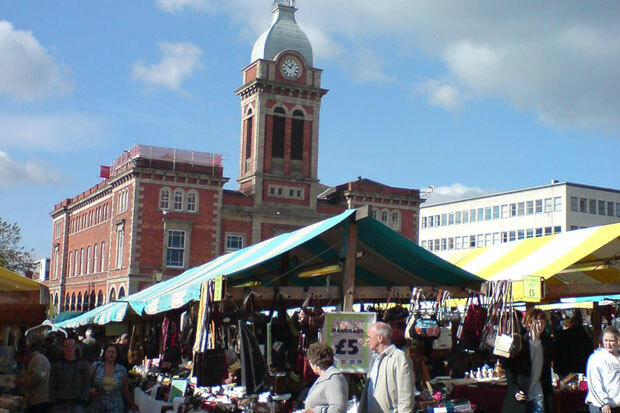 After you have rested, head to the famous open market in Chesterfield – one of the biggest in Britain. Without exaggeration, this market has anything you could possibly want. It features a Victorian Market Hall, a Flea Market, a Farmer’s Market and an Artisan Market – and they are all worth the visit. This one is a must – especially if you fancy shopping for labels and new collections. It’s an open-air modern day version of a market – only the stalls are replaced by high-street retailers. You can buy a new bag, get a new haircut and try out the newest perfumes all in one street.